Since the removal of the temporary classrooms this summer, the quad area at school has been looking a bit sorry for itself. 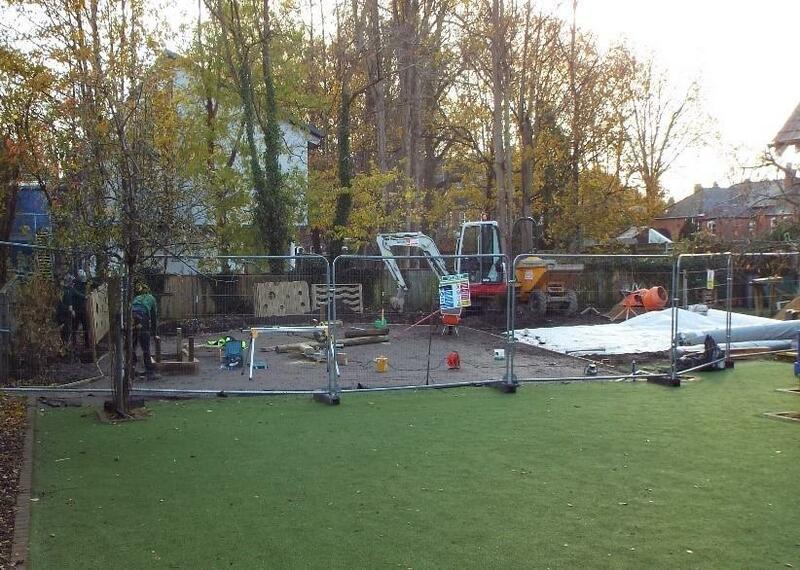 We are pleased to announce that work has begun this week to transform the outside space into a peace garden where children will be able to learn and play. Once the garden has been completed, we will be able to start in earnest raising funds to provide an extra learning space used to provide enrichment opportunities, teaching and meeting spaces for the benefit of pupils at St Bede. We hope to share plans for the new classroom design at the Christmas Fayre and hope the event will also provide an opportunity for parents and the wider community to see our new outdoor space.